Mark Bliss is widely regarded as one of the Southwest’s top chefs and one of the culinary talents who put San Antonio on the map as a fine dining destination. He started a cool restaurant called Bliss. 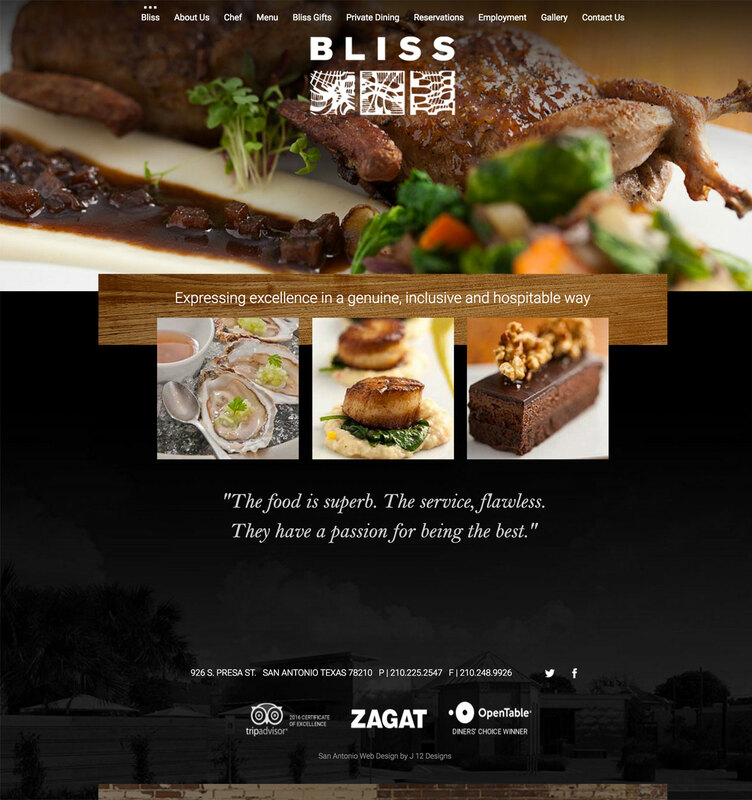 Bliss serves upscale, contemporary American cuisine with an emphasis on seasonal and fresh local ingredients. They needed a site that would be responsive and give the user an idea of the atmosphere and wonderful food.